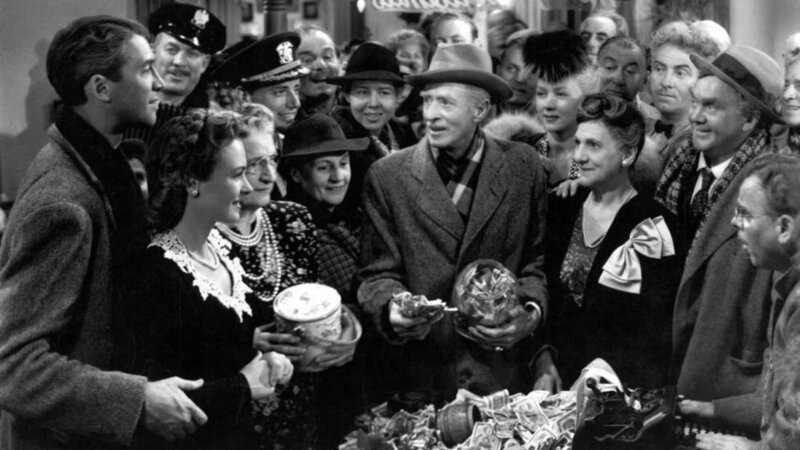 “It’s a Wonderful Life” got it right, the spirit of Christmas really is the spirit of community. For most of us, the holidays are rooted in traditions – decorating the tree, stashing the presents, Tom & Jerrys, listening to the same Christmas tunes over and over … If you’re not mindful, it can become reflexive and feel a bit like being a hamster running on a wheel. I was on that hamster wheel until my sister’s death from a glioblastoma in 2010. Jane loved Christmas and every year my family gathered on Christmas Eve at her house. It was an over-the-top affair of decorations everywhere, a giant Christmas tree, plates of food, piles of presents, games, and staying up late watching “White Christmas” or “Holiday Inn.” She made Christmas magical. I tried to fill the void, but as my dad said, “Jane was the glue.” My nephews live on the East Coast and both my parents have since passed away. Getting together for Christmas Eve changed. For me, at least for a while, Christmas was broken. So we started a new tradition. We invited friends and neighbors without family nearby to our home for Christmas Eve. My nephew Drew, his wife Corin, and their two little ones come in from South Carolina and spend the evening with us. It has become a tradition of its own that kids in the neighborhood have now grown up with. Eventually, we found our own glue. But this year, we’re changing the tradition a bit. We’re moving the party from our home to Lark so that our many new friends who frequent the restaurant can join us, too. I like to think of it as the kind of Christmas Eve my dad used to describe as a kid in the Northwoods. Everyone went to the local tavern, kids and all, had a potluck and hung out. So the bar will open at 3 p.m. The kitchen crew and servers will have the night off (though a few are coming in to hang out with us anyway). Richard will make a huge pot of his gumbo and we’ll bring in some other treats to share. I’m bringing down my keyboard to play some holiday songs and hoping some of our musician friends will join in. Kids are welcome. If you would like to join us and feel like bringing in a dish to share, that’s great. But bringing something is not required. No reservations or table service, either. Just show up, find a spot, and order your drinks at the bar. The best part of owning a restaurant is that feeling of creating a place of happiness and community. There aren’t many businesses that give you the opportunity to introduce strangers who leave a couple hours later as friends. It isn’t easy, but it is indeed a wonderful life. We’re looking forward to Christmas Eve and hope you will join us if you don’t have obligations elsewhere. And if we don’t see you soon, Merry Christmas from everyone at Lark.